Monday Thru Sunday lunch from 11:30 a.m. - 2 p.m.
Dinner Monday thru Wednesday 4 - 9 p.m.
Dinner Thursday thru Sat 4 - 10 p.m.
For more information about Sole on the Green Restaurant, please visit the Sole Webpage. 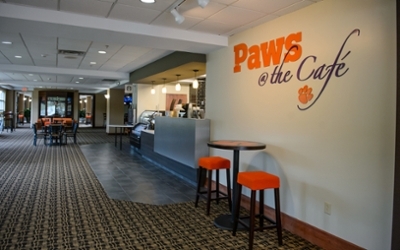 Located in the lobby of Clemson’s renowned Madren Center, Paw’s at the Café offers delectable breakfast sandwiches as well as a multitude of grab-and-go items for those with a lively schedule. Sit and enjoy the free Wi-Fi as you sip on a cup of freshly brewed We Proudly Serve Starbucks Coffee or just pick up a snack (or two!) if you need a quick bite between meetings. 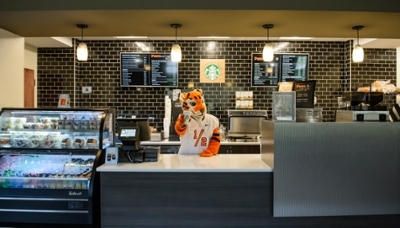 We look forward to serving you as you take a “Paws” at the Café! 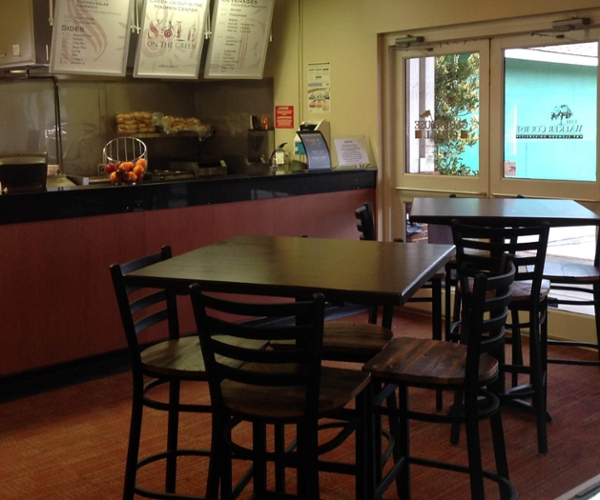 Located in the Pro Shop of the Walker Golf Course, the Grill offers a couple of sandwich choices and pick-up snacks like candy bars and chips. Beverages include Coca-Cola products, beer and a few popular liquor selections. If you need a hot dog or BBQ sandwich as you make the turn on the course, or if you just need a quick bite for lunch, head to the Grill at the Walker Course. 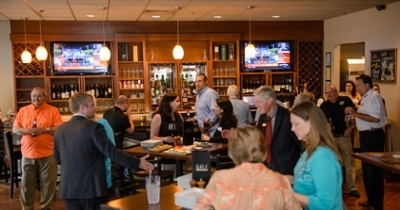 Looking for a special event or catered function for a group? 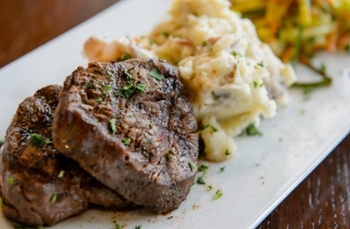 Check out our Catering Page for more information.